Hide deals from seller "PRP Wine International"
Hide deals from category "Wine Shops"
Limit 1 per person. Appointment required. Promotional value expires 90 days after purchase. Valid for up to 12 people per wine tasting; all attendees must be 21 years of age or older. All orders delivered from a licensed retailer. Call 847-640-1957 if further info is needed. Throwing a party can be stressful when the pretzel bowl constantly needs refilling and everyone likes a different kind of wine. Host the party of the year with this deal for 74% off an in-home wine tasting from PRP Wine International ($200 value). 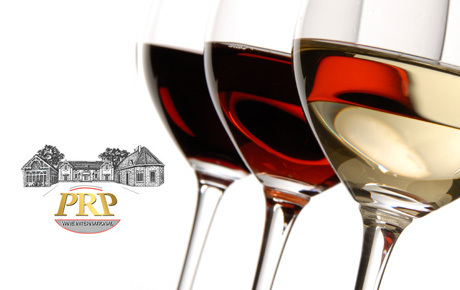 PRP's knowledgeable consultants will bring eight different wines to your home with a 90-minute presentation. Additionally, a wine specialist will answer all of your wine queries, from what foods pair with Chardonnay to whether or not you pronounce the "t" in Pinot Noir. In business for 42 years, PRP began when four friends started hosting in-home wine tastings and decided to expand in order to provide top-quality wines to enthusiastic and loyal customers. Your consultant will lead the tasting for up to 12 people and will provide recipes and suggestions for each wine you taste. PRP Wine International exclusively imports wine from 300 boutique-style vineyards. Their wines are not available in stores and restaurants. Enjoy a sophisticated night in with this full-bodied deal. Sells wine and provides in-home wine tastings all over Chicago.